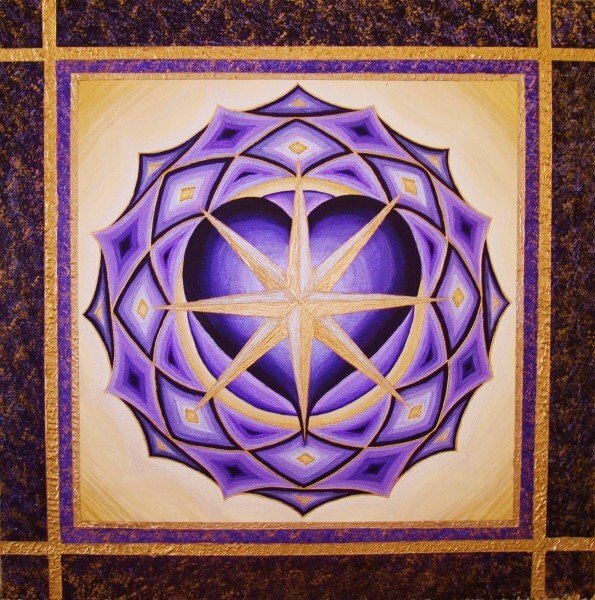 Kathy’s Heart | Artwork – Store – Tammi B. Ph.D.
Hand painted mandala 24" x 24" acrylic and mixed medium. Created as a birthday gift for my dear friend Kathy. I wanted to create an image that captured her kindness, generosity and strength of heart. As soon as I closed my eyes to meditate an enormous purple heart revealed itself in my my minds eye! I would be happy to recreate this with any changes you would like.